As space time alters to accommodate the conditions around it, we might well be said to be living in a new type of ontological space in which the familiar dimensions are themselves now open to interpretation and renegotiation. Why should oligarchs be the only ones privileged enough to bend reality to their convenience and have the various algorithms and stacks serve the purpose of remolding the world in their image? Lacan has offered us the image of the Moebius strip as a metaphor for how psychoanalysis problematizes various binary oppositions, such as inside/outside, love/hate, signifier/signified, truth/appearance. The act of what Lacan called “traversing the fantasy” is possible by tracing the edge of a paper mobeus strip with one’s finger. Because its two sides are continuous, it is possible to cross over from inside to outside and indeed thus difficult to distinguish the two. 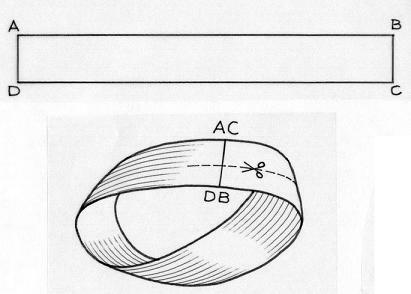 The Moebius strip in being a twisted single braid can offer a representation of the collapsing of former binaries. It is a topological metaphor: formerly discrete opposites as a way to interpret what goes on in the real world. But that person would be a predictable kind of media scholar because they’d be framing the whole debate in terms that miss the deeper political implications and would be trying to restrict everything to technology. So I will avoid this tendency here. Plato’s cave inhabitants could not be distracted from their mesmerizing stare at the projections before them even when unshackled from their seated positions before the moving shadows. The appeal of the illusion was too much. As agents of proactive interpretation, the appeal of the image meant more than the inertia of the entrapment of the social space afforded by the cave. Today our cave dwellers can’t imagine life outside the gilded halls of academe, of bureaucracy and Netflix. What Zizek has described as the “demotion of the salaried bourgeoisie” the economic tide has been made to lower and with the prospects of the salaried class who now find themselves increasingly precarious. Protests and marches globally show that the middle classes are on the rise for fear they may join the lumpen proletariat. Production in the traditional sense has moved to new levels of organization. Intellectual property is paid for in rent. Subscription services dominate media experience. 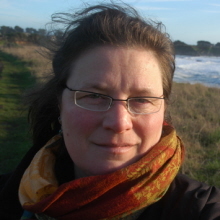 “The taxing of flows” as McKenzie Wark has put it. As ideas become manifest in a way similar to organisms, things and products join the realm of generalized uncertainty. Quantum physics shows that multiple forms are possible within the observation of a single molecular event. Time and space are themselves problematized, much like the inside/outside conundrum of the Moebius strip. Today most economic systems rely upon the taxation of flows. But ideas can take forms which were hitherto unrecognizable as such. Events which have no basis in fact appear as such, and have lives of their own in the broader media/culture space. In this regard they resemble meaningful memes – similar to biological entities that grow, multiply, have ‘lives’ of their own. It not literally biological in their formation, then biological in how they operate and move and change and alter and have a biomorphic effect on the planet itself. Planetary computation – a phrase popularized by Benjamin Bratton subsumes knowledge into a vast algorithm driven ‘stack’ based set of systems whose reach and scope have the effect of defining even new types of sovereignty. Google, Facebook, Amazon, Apple, Microsoft and the others are in a constant process of defining new uses for the eco-system, most of which have to do with satisfying the demands of their creations, not the interests of the global population. 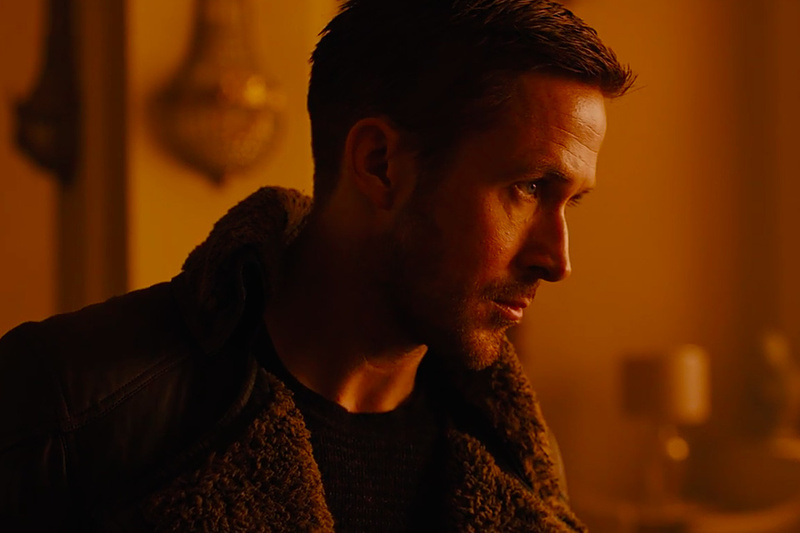 The Blade Runner-isation of the future is now thus more upon us than when the first Blade Runner film came out. Capitalism has well and truly become unshackled from democracy. China and Russia offer us the populist/authoritarian model of capitalism stripped of liberal humanism. Apple/Foxcon is a good example of this binary. Chinese gulags used to make luxury communications tools contrast with the gleaming minimalist retail Apple Store citadels, in which they are sold in the West. Servers arrayed in giant warehouses kept cool by offshore installations in some James Bond super-villain scenario define the true nature of stack-enomics to make the devices work. There is nothing logical about the organization of capital at its highest level. Our global power system offers the lucky a set of convenient plug-ins to the broader automated network of services that caters to fewer and fewer participants. These are financial, educational, cultural and social. There are services for every strata of the global economy. Taxed flows that adjust themselves to the dynamics of social groups and in turn help form and shape those same groupings. We have effectively destroyed our own planet and rather than educate ourselves to reverse the trend our death spiral continues. But it is not a spiral. 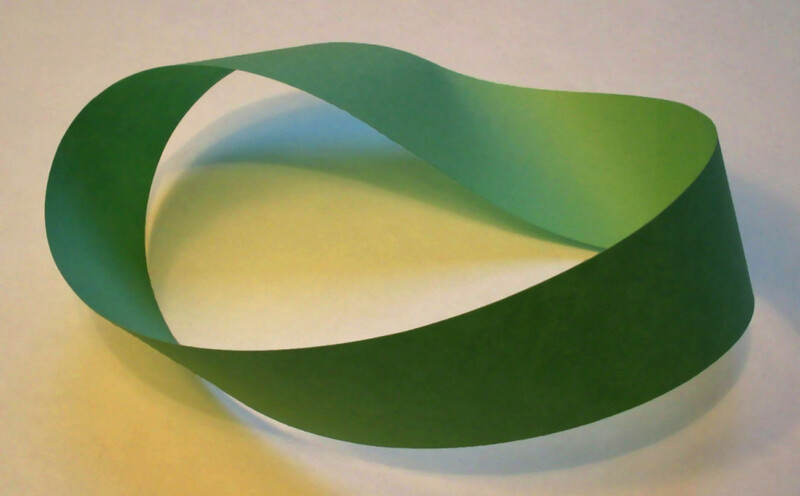 It is a Moebius strip. Search engines large scale operation continue to undermine the integrity of the planet the Anthropocene robs us of the ground beneath our feet like the cartoon cat we notice the disappeared ground too late. Biological systems, digital systems and cloud computing systems threaten to alter the co-ordinates of planetary integrity. To keep the ever growing number of vast server farms cool, it inevitably heats up the planet to do so. Development robs us the ground beneath our feet and like the Warner Brothers cartoon cat or coyote we can’t quite believe that we’ve gone over the edge until we look at the camera. We’re waiting for the final realization that there is nothing beneath our feet and we must fall. Those that have perished in the stack wars did so fighting great battles against the broader economic and cultural forces. Their bodies litter the streets, but also the dark rooms of obscurity where desperately needed health services arrived too late, or not at all. Drink took some, suicide some others, and drink took care of the rest. 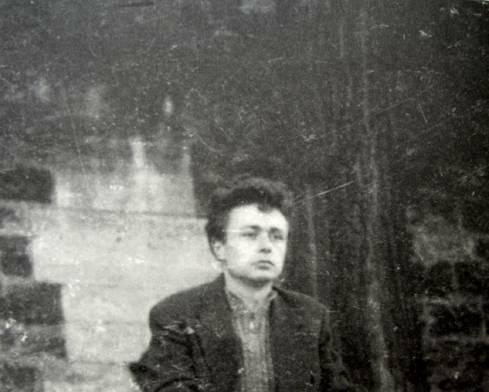 The term “hypernormalisation” is taken from Alexei Yurchak’s 2006 book Everything was Forever, Until it was No More: The Last Soviet Generation, about the paradoxes of life in the Soviet Union during the 20 years before it collapsed. A professor of anthropology at the University of California, Berkeley, he puts forth the idea that everyone knew the old Soviet system was falling apart, but as few could imagine any alternative to the status quo, politicians and citizens had resigned themselves to maintaining a presence of a functioning society. As time passed, the delusion became a self-fulfilling prophecy and the “fakeness” was accepted by everyone as real, an effect that Yurchak termed “hyper-normalisation”. Could this be happening now in the USA? Could the neoliberal shell game of keeping the reality of the power and influence game hidden from view finally have revealed itself? Might hypernormalization now be giving way to something akin to the scene in the Netflix show “Victoria” where after decades of neglect, a Royal kitchen wall is disturbed, and dozens of rats pour out onto the floor? All the certainties can come undone. Fate lies well outside our ability to understand or predict and Fate is all there is. Topology is a useful means to visualize new types of social models and social interaction. It was there when Ted Nelson, inventor of hypertext, developed his branching path structures and non-sequential writing. It was certainly at the core of Buckminster Fuller and his geodesic and dymaxion self-supporting geometric creations. Interconnectedness is a common theme among those who think freely. Products delivered from nowhere: army of workers from behind the scenes. There is no Apple corporation without FoxCon Chinese gulag. No self-driving car without a vast network of systems in place to carefully process every single piece of sensor data made use of by the car and its system, exactly like a predator drone. Cloud computing and real-time data management have resulted in a forced allegiance with the AIs. No one can opposed the AIs as they are a fact of life. I’d buy one a beer but I wouldn’t lend one money. ‘K’: I have memories, but they’re not real. They’re just implants. We are entering a time of crisis. That point in history where a great hole seems to have opened up in reality itself. This feeling of the certainty of things giving way to reveal cascading layers at equally fragile realities one below the other. We have entered Tarkovsky’s Zone writ large. I’m reminded of the scene in “Inception” where the whole of Paris folds over itself like a giant layer cake. Moebius strip shows us that what was considered “inside” is by traveling in the same direction now ‘outside’ and that both are part of the same trajectory. Lacan’s idea is that this is what the unconscious looks like. We don’t have a divide between an ‘above’ and ‘below’, or between a surface and a depth. The unconscious is not hidden in the deep and the surface is not the superficial. It is, to use Lacan’s clever expression, ‘extimate’, both external and intimate at the same time. (Seminar XXIV, 14th December 1976). The curves of the strip echo the forms of a hot wheels track or a twisted rubber band. Any film maker who has made a film loop and spliced the film with a twist in it will know that this can only be done with double-sprocketed film. become the opposite of what it just was. I can easily imagine the Moebius strip at the sunset of time, curving away on its own line out there in some Platonic universe being used by some intelligence to describe the way that logic, power and folly defined the rise and fall of humanity in the twilight of modernity’s fall. “Things went down this way and then went really pear shaped…”, this entity might say as a bony alien finger traces a path on the figure-of-eight in some other dimension. Our challenge is to anticipate this moment ahead of time. It is to reveal the contingency by which subordinates in capitalism are kept in their place. As Slavoj Zizek has argued, violence generally erupts when this very contingency is directly questioned and contested. 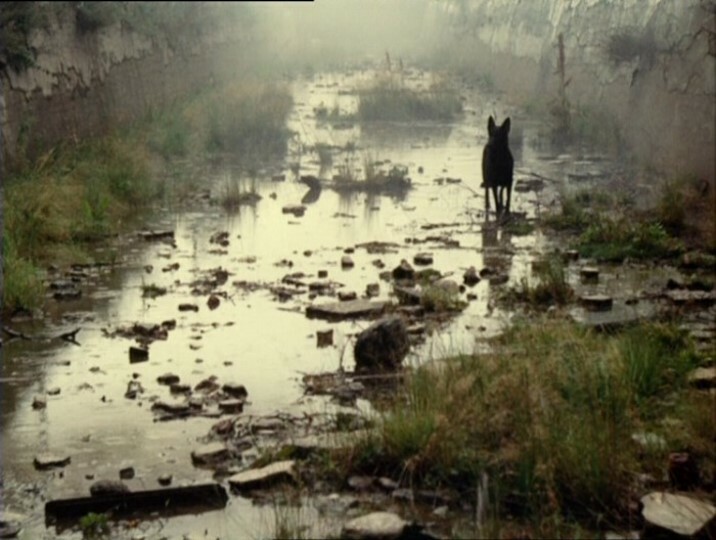 As Tarkovsky has shown us Materialism might well be the key to understanding. Materialism is after all, the religion you are having when you are not religious. The focus is all on matter and substance. 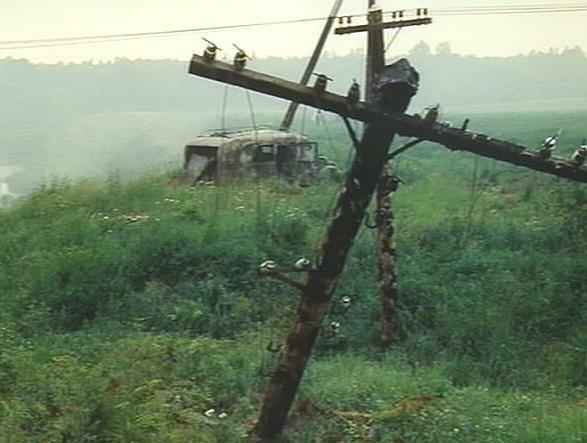 Secular in form materialism of the Tarkovsky variety is of almost evangelical dedication and subordination to the world and all it is comprised of, especially at the moment of advanced and rapid decay. As the late Carrie Galbraith of the San Francisco Cacophony Society often described, going out on a Zone Trip seemed to open up all kinds of new possibilities not only for any given semi-guided tour of an underground tunnel, abandoned building or unexplored terrain, but for life itself. In my mind’s eye I see Carrie in full Victorian garb sipping tea before taking aim with her bolt action rifle in the desert. Her aim for truth was true and she will be deeply missed. David Cox is a filmmaker, artist, writer and teacher based in San Francisco. He is the author of Sign Wars (2010).